For Palestine, Yayasan Khazanah is in collaboration with the Islamic University of Gaza and Viva Palestina for the candidates to pursue their postgraduate studies at selected leading universities in Malaysia. - A signed personal statement of not more than 500 words that includes a description of the intended area of study and describes how this will benefit Palestine in general. The statement should also outline the candidate’s reasons for wanting to study in Malaysia, and summarise the personal qualities that would make the candidate a worthy recipient of the Khazanah Asia Scholarship. 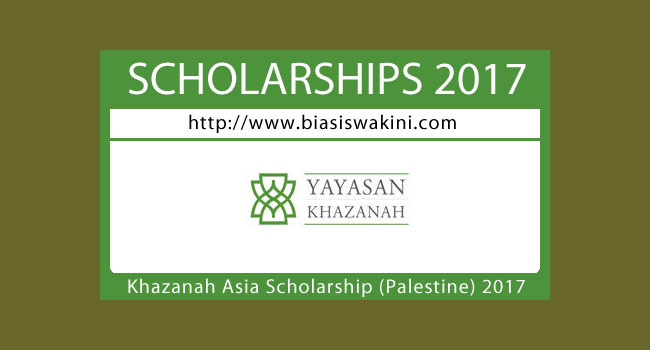 Khazanah Asia Scholarship Programme (Palestine) is currently open for application from 3rd to 21st April 2017. 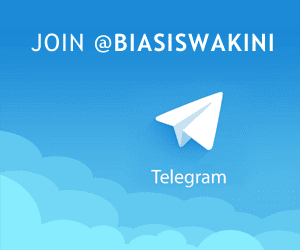 Click the button below to download the application form. Please send the completed form to ykasia@yayasankhazanah.com.my. 0 Komentar untuk "Khazanah Asia Scholarship (Palestine) 2017"